We took a look at vehicle sales numbers for the first month of the year to get a sense of where the consumer might be with an improving economy and a lot of new product being shown at auto shows in Los Angeles, Detroit and Chicago. We found some anomalies we did not expect. As reported by others, sales were ‘mixed’ by category, brand and vehicle but generally in line with an expectation to be essentially flat. They were – with Cars continuing to fall off (down 10.6 percent), SUV/CUVs growing (up 9.7 percent) and Trucks remaining strong (they were actually up 4.98 percent). Trucks are the heart and soul of vehicle ownership in our part of the world. 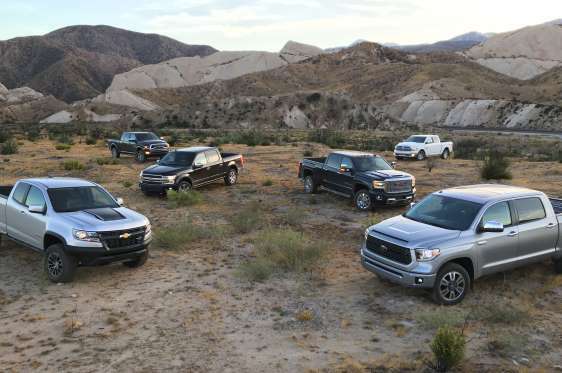 With the recent auto show focus on introduction of new and improved product due later in the year from the top three in the Full-Size segment (Ford F-150, Chevrolet Silverado and Ram 1500), we expected that any sales increases would come primarily from Full-Size trucks. We were wrong. The Full-Size segment was essentially flat – up only 0.98 percent. The driver of the Truck Category was actually Mid-Size trucks – up a strong 26.82 percent for the month, which was a bit of a surprise. Sales for the month were 34,901 units – up 26.82 percent from same month last year. The Toyota Tacoma continues to lead the segment increasing its market share by 2.4 points – to 47.8 percent – over year ending 2017. 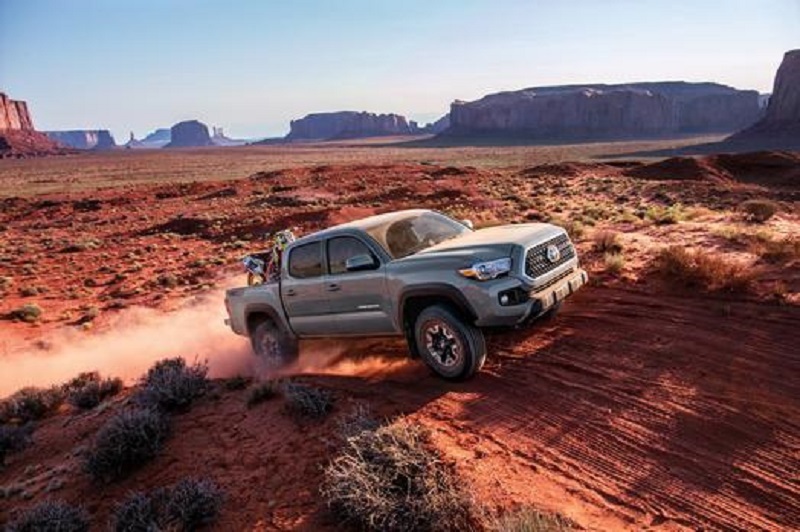 Frankly, that was not a surprise as the Tacoma lineup is that strong from comfortable daily-driver models to capable off-roaders and serious rock crawlers. The Chevrolet Colorado and its sibling, the GMC Canyon are very good trucks with lots to offer including the rugged ZR2 for Colorado and the luxury Denali version for Canyon plus diesel engines available in both., but at the end of the day, consumers buy the Tacoma nearly half the time. 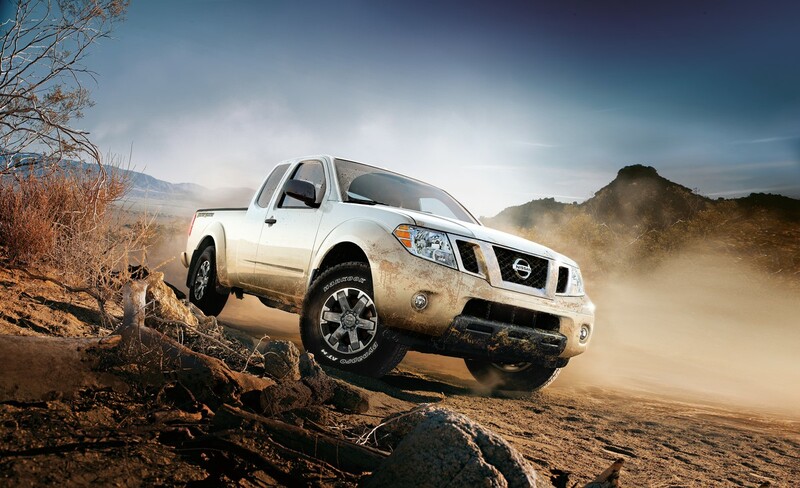 What was surprising though, was the continuing demand by consumers for the Nissan Frontier. Sales in January were 5,901 units, up 52.99 percent over same period last year and 22.9 percent of the total segment sales for the month. For those not in ‘the know’ Frontier is the oldest mid-size truck in the segment, now going on 13-years since its last redesign (2005). Nissan has ‘refreshed’ Frontier along the way keeping it current with technology and convenience features but has relied on its model assortment, underlying strength and value pricing to keep it in the game. Nissan is developing a new Frontier, but when selling the old one as well as they are – we would say there is no reason to hurry. Taking a longer look to full year 2018, we think that the Tacoma will continue as the unchallenged as the leader of the Mid-Size segment. Full year sales will likely remain at about 450,000 units for the year with some upside possible uptick with the return of the long-awaited Ford Ranger late in the year. 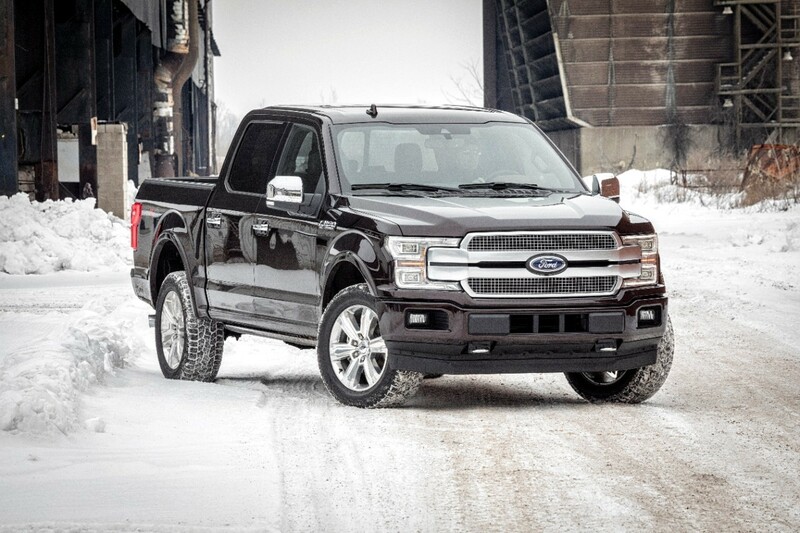 As you would expect, Ford F-Series trucks continues to lead the Full-Size truck segment. Surprisingly, the sales of 58,987 units, were only a 1.60 percent increase over the same month a year ago. In contrast, Chevrolet Silverado had a very good month – up 14.50 percent with sales of 40,716 units. FCA Ram, which had been challenging the Chevrolet Silverado all through 2017 for second spot in the segment, had a disappointing month with sales of just 11,224 units, down 13.10 percent from January 2017. As noted, there are significantly improved models of Ford F-150, Chevrolet Silverado and Ram 1500 due later this year which will certainly attract buyer attention. In addition, the new generation GMC Sierra – said to be a significant departure from the Silverado – will be revealed to the media in March. The Nissan Titan trucks – new last year – are fully available now and gaining devotees in the marketplace while Toyota is getting their production capacity issues addressed and expect to be able to support 2018 growth in demand for their – ‘Texas Built’ – Toyota Tundra (and Tacoma). With new product available, there could be an uptick in the segment numbers for the year. But for now, predict that the Full-Size segment will likely remain essentially the same in 2018 as last year. Stay tuned with us at www.inwheeltime.com and SportsMap 94.1 FM as we continue to track and monitor developments across all categories to give you the latest news and our assessment of what is hot and what is not.